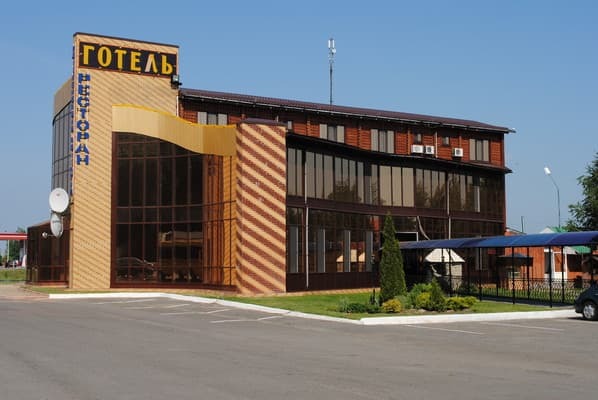 Hotel and restaurant complex "Lazy Vera" is located on the 190th kilometer of the international highway "Kyiv-Kharkiv-Dovzhansky", 5 km from the city Lubny. 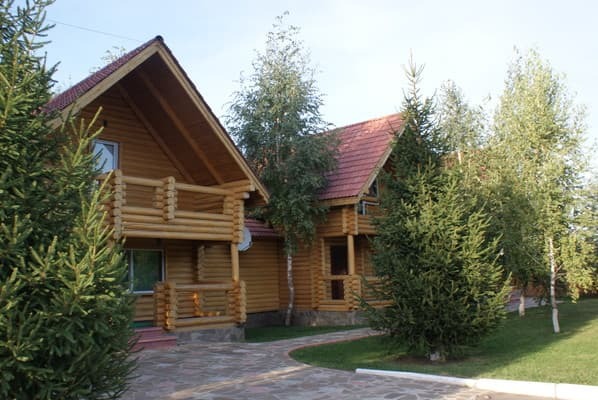 Fresh air, rooms and houses made of wood, large area, summer playgrounds, artificial ponds, and, of course, excellent service - this is what makes the country complex the perfect place for a weekend, holidays, romantic dating and just a pleasant stay. Hotel "Lazy Faith" offers rooms of different categories with European design and 3 separate two-storey cottage. 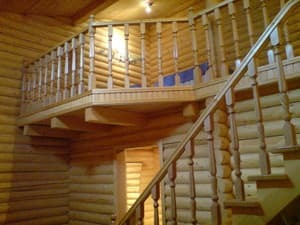 Cottages and rooms are made of natural wood - Transcarpathian pine impregnated with beeswax and honey. 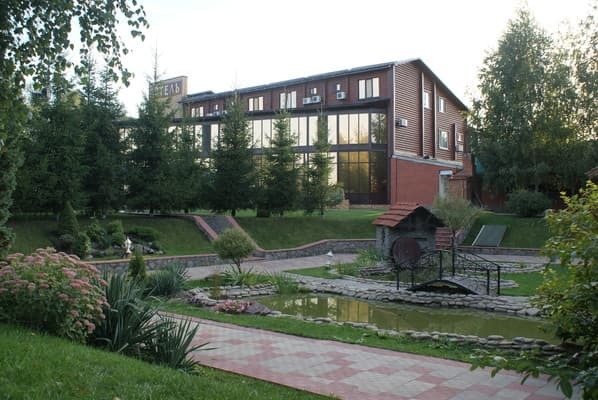 The restaurant "Lazy Faith" guests can enjoy Ukrainian and European cuisine, grill menu. The hotel - free Wi-Fi, secure parking. Distance to the bus station in the city Lubny - 8.4 km / railway station - 9 km. Description of the room: The rooms on the second floor have access to a spacious glazed terrace, which offers a beautiful view of the complex. 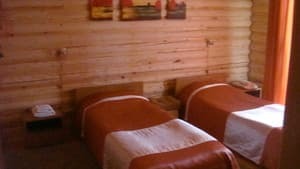 Description of the room: The increased area of ​​these rooms will provide a comfortable stay for any guest of the complex. Rooms are located on the 3rd floor. The room has a double or two single beds. Description of the room: Spacious soundproofed room. Located on the 3rd floor. Description of the room: Spacious split-level room. 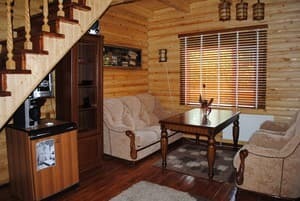 Description of the room: Wooden two-storey cottages of 80 square meters. m. A wide plasma TV and an aquarium with piranhas. Balcony and private entrance with terrace. Entrance hall and living room with a large desk. Large bathroom with hydromassage box. On the second floor there is a wide double bed. Интересный номер за 550 грн - два уровня, сруб. Чисто, уютно, комфортно. Удивила допотопность ТВ в номере класса ЛЮКС. Большой минус номера - очень низкий уровень сигнала Wi-Fi- интернет не работает + лайф и киевстар не берут. Впрочем чудненько для полного релакса. Чистота номеров оставляет желать лучшего. Желательно улучшить "сервис" телевидения, т.е. увеличение количества программ. 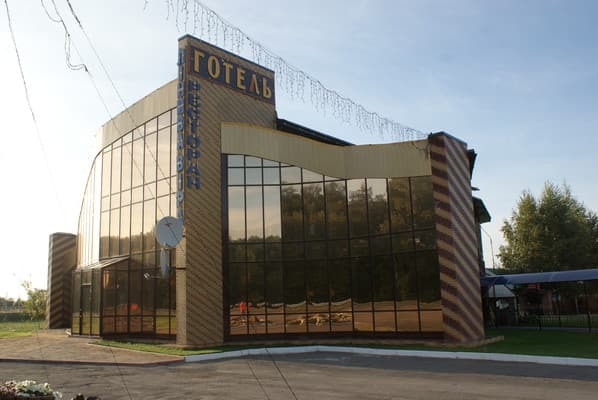 Очень дорогой ресторан. Для проживающих в гостинице цены желательно пересмотреть. Can accommodate extra bed in some rooms. Extra bed - 150grn.Dop.mesto for children from 6 to 14 years 100 USD. 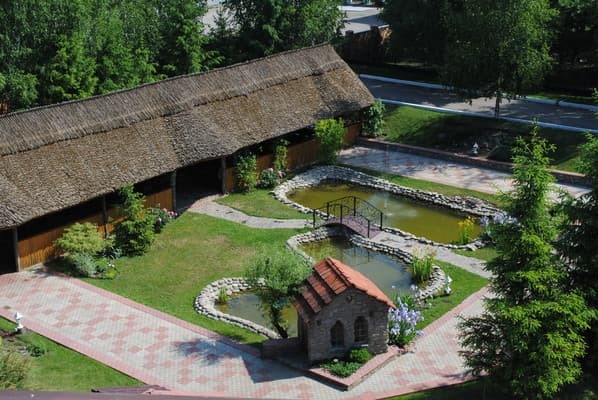 The restaurant "Lazy Faith" guests can enjoy Ukrainian and European cuisines. Distance to the bus station in Lubny - 8.4 km / railway station - 9 km. 190th kilometer of the international road E 40 (M-03) "Kyiv-Kharkiv-Dovzhansky".